It’s poised to be the biggest year for the NBL in recent history and the potential for excitement and entertainment this season is huge. 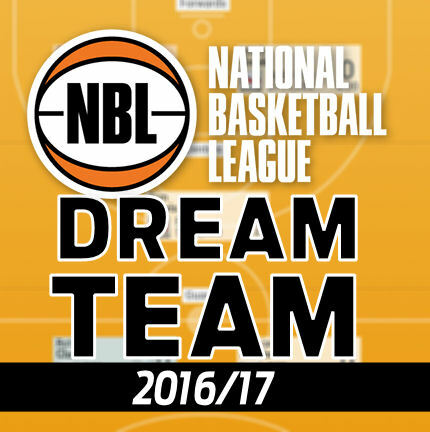 Welcome back for another year of NBL Dream Team! As we all know, planning around the fixture is crucial to success in NBL Dream Team. The biggest anomaly in the fixture this year is how front loaded the games are for Sydney, with the Kings playing 19 games in the first 11 rounds and then only 9 for the last 8 rounds. You definitely want a few of their key players locked into your squad. Melbourne has the fastest start in the short term with 9 games in the first 5 rounds. Cairns has the slow start and I will be considering starting with no Cairns players as their prices won’t change until after round 3. This would allow an extra look and then aim to trade the best Cairns player(s) in before round 3. First lock in David Andersen and Brad Newley. Both are proven international players, both are dual position players, and both have the ridiculously low price tag of $60,500. Cameron Bairstow would be in the same category, but he’s injured so we’ll just have to wait to trade him in later and make some nice money in the process. GRD: Cameron Gliddon was one of the highest scoring players during the ABC and the only reason not to select him is that it was done in the absence of Trice plus the Taipans slow fixture start. Fellow Taipan Mitch McCarron scored exceptionally well for his dramatically cheaper price tag, but is more likely to be affected by Trice’s return. Rotnei Clarke, Jaron Johnson, Damian Martin and Jason Cadee all present as solid selections. Brendan Teys is the pick of the cheap players but has failed to deliver on his potential in previous years. I’m passing on Kevin Lisch because of his high price tag but given Sydney’s big start then he could be worth the investment. GRD/FWD: Four of the players I enjoyed watching the most are the standouts here. Mitch Creek had an exceptionally preseason and looks like he’ll finally deliver on the potential. Casey Prather showed an improved game and appears to have no injury concerns, so expect him to be big all season for Perth. Marvelle Harris was surprisingly consistent for a new import and posted some really big scores. Todd Blanchfield is quite cheap for his potential and could become a regular big scorer with the freedom offered by United’s depth. FWD: Tai Wesley was the highest scorer during the ABC and saw a lot of freedom in the Melbourne offense. I suspect he’s unlikely to score at this rate in season proper, but you can’t help but consider him given the form he showed. Another United player in Devin Williams could be worth the look too, although he might have the usual import struggle with foul trouble. Greg Whittington looks the goods and given Sydney’s strong start to the year is definiely worth considering. Fuquan Edwin was great but being a Taipan I’d probably wait and see rather than start with him. Finn Delaney was solid for New Zealand and is a cheap option without too much risk. FWD/CTR: Daniel Johnson looks set to continue on his high scoring ways and should flourish in such a quick lineup. Majok Majok looks to have gained some fitness on last year and could see more court time, he naturally scores at a very high rate. Jameel McKay is the third of the Perth imports and was crucial in Knight’s absence, he looks set to have a big start to the season. CTR: The change of team’s for Tom Jervis has seen him take a big step up as the primary centre. He scored heaps of points during the ABC and is quite cheap so worth the risk, particularly while Bairstow is injured. AJ Ogilvy will score big points like always, but I think his price tag is just a bit too prohibitive given all the high scoring value options available. Adelaide, Brisbane, Melbourne and Perth all get the double match round to open the season. Given how many unknowns there are for the opening round then I generally lean towards an established elite player for the first week and Daniel Johnson or Casey Prather would be my first choice. If you want to go straight to the high risk high reward category though then you could captain Mitch Creek, Jameel McKay, or Tom Jervis, who have all put up big scores during the preseason. Please only join one initially, we’ll tweet out closer to lockout if there are still spaces left. good stuff. any groups going? Need to have a bit more of a go at it, especially looking at fixture. Think I need to get Anderson on field. It’s pretty solid, although I feel like teams should probably have at least 2 Sydney players. To get Andersen on field you could switch Harris with Creek or Prather and move him to the bench for week one. I’ve had a few tweets about the best cheap players to get. Of those I’ve not mentioned above, Mitch Young, Matt Hodgson, and Shaun Bruce all scored well above their price tag during the ABC and present as possible other options. That’s a lot of spare cash. I’d upgrade Bairstow since he’s injured, you can easily trade him later once he’s back because he is so cheap. And I’ve been telling people to pass on Randle, he doesn’t look like scoring at the rate he did last season and given there are a lot of cheaper imports then I’d go for one of them. I’m probably going to start with Whittington, it’s between him and Cadee as my second King. McKay looks exciting, but then so does Prather and Prather has the experience, although McKay is cheaper. Hard to separate them. I might lean towards McKay only because he might get extra points while Knight is away. But then Knight might be back by round two. Thoughts? Any trades you would make? Actually really impressed with this as an idea. By not grabbing any established premium players you only have the one “rookie” player in Teys. It’s possibly slightly higher risk, but not by much. Yeah it’s pretty heavily based on the abc performances. I’m pretty new to the NBL (getting back into it now the Bullets are back) so I don’t know a whole lot about recent seasons and the established players. Is there anyone I should really look into? Does this team sound too risky? Would you choose Craig or Creek? I’d definitely choose Creek over Craig. And it’s risky but not necessarily too risky. With the big changes to team lineups this season it’s not clear that the established premiums are going to be worth their price. I’ve tried a very balanced team with no rookies. I’m thinking there isn’t too much value with rookies because of the 3 import rule now. At the very least, I can jump on any decent ones next week before prices move. It’s a solid idea and the team looks pretty good, probably my only concern would be that you only have players from four of the eight teams. Just swapped Craig for Creek, based purely on ABC. I think Craig has the potential to score big, but he can also be inconsistent. I’m still not sure if I made the right choice taking him out and it will probably come back to haunt me! People are very keen on Creek (including me) but if you want to back Craig you should. There are going to be some players that I haven’t considered who do really well, happens every year. Should be easy enough to get Bairstow. Still thinking on having Jacobsen or not over other imports, maybe swap for prather. I’d probably pass on Ferguson, he’s exciting and energetic, but is very young. I don’t think he’ll be a consistent enough Dream Team scorer to justify a full import price tag. Who is everyone’s captain pick this week? Randle, Goulding, Prather or McKay? Who do you reckon will score better out of Prather and McKay as well for week 1? Thinking of captaining McKay this week – worth the risk? Sorry if this is obvious, but make sure you get the right players with double matches on court (you have Creek on your bench above, swap him for Whittington – ditto Blanchfield/Harris). Absolutely worth the risk, I rate him as one of the most likely to score big out of the unproven newbies. Loaded up on players with the good early fixtures. Thoughts would be great thanks. $100 would be a little less in the bank than I’d be comfortable with, but you’ve got a clear tactic that you’re going for so back yourself. By the time round 1 is over any trading plans are usually ruined, but it’s good to start with a plan. Because of that I generally avoid having anyone in the team that I would be upset keeping if I’m forced into different trades. Mitch Creek for Captain because I think Adel v Illa and Adel v Melb will be very up and down affairs. Suits his game to a T. Craig is a risk but he’s capable of 70 over the weekend, also capable of 25 but a free swing and a trade next week to a Sydney stud. Anderson and Newley will stay put in everyones team for the year I imagine. Bit of a punt on the Melb import combo but from what I hear Williams loves the tough stuff and Moore is as smooth as they come. With 3 D/Hs, its a no brainer, theyll be out to prove a point. McKay and Jacobsen are my PODs, both with DP and (perth without Knight and Jervis) and Adelaide being pretty skinny in the bigs dept and should play 28-33 mins each. Good luck all. Thoughts on Wesley vs Williams? Finding it hard to make sense of the Melb team and rotation and obviously would like a few with their favourable draw. Who are you looking at starting with? Hey Tristan, who should I put captain out of randle, Goulding, prather or McKay? Also, after how many games do prices change?